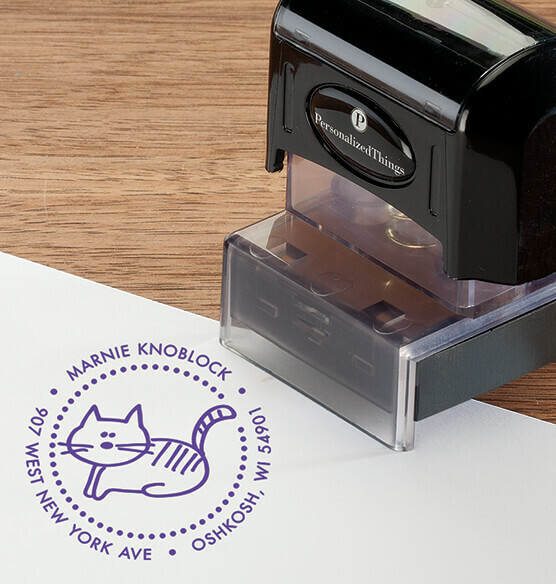 Stamp your return address in fun feline style with our self-inking cat stamper, personalized with your name and address. 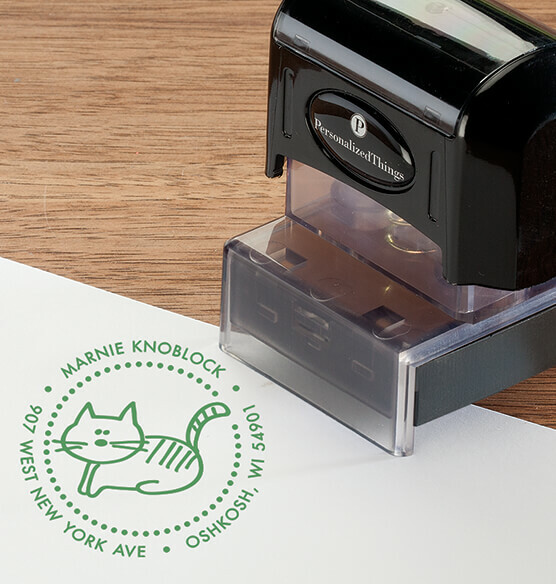 Saving you time while eliminating errors, this custom stamp is convenient, cost-effective and PURR-fect for greeting cards, invitations, letterheads, bills, thank-you notes and more. 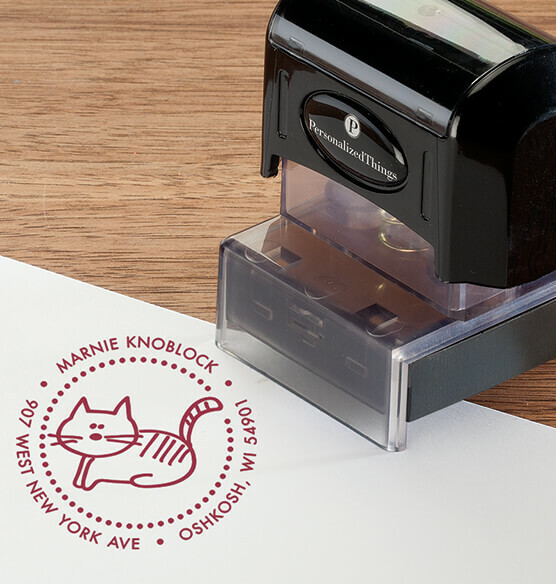 The sturdy open base makes it easy to place and align impressions. 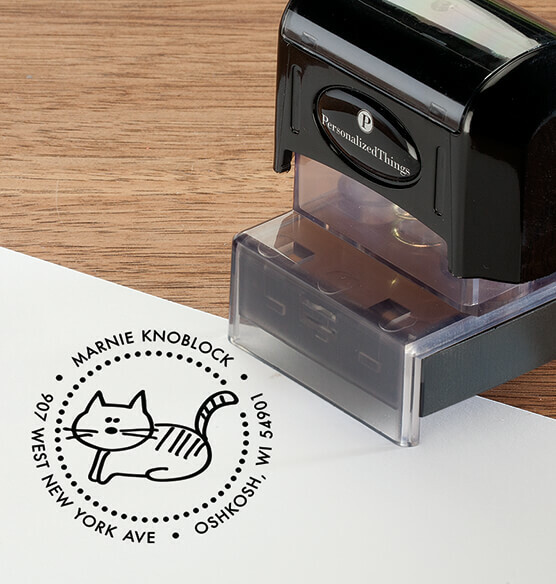 Our cute, exclusive Cat design will highlight your name or family name and address, making it yours alone. Round impression area measures 1 1/2" dia.